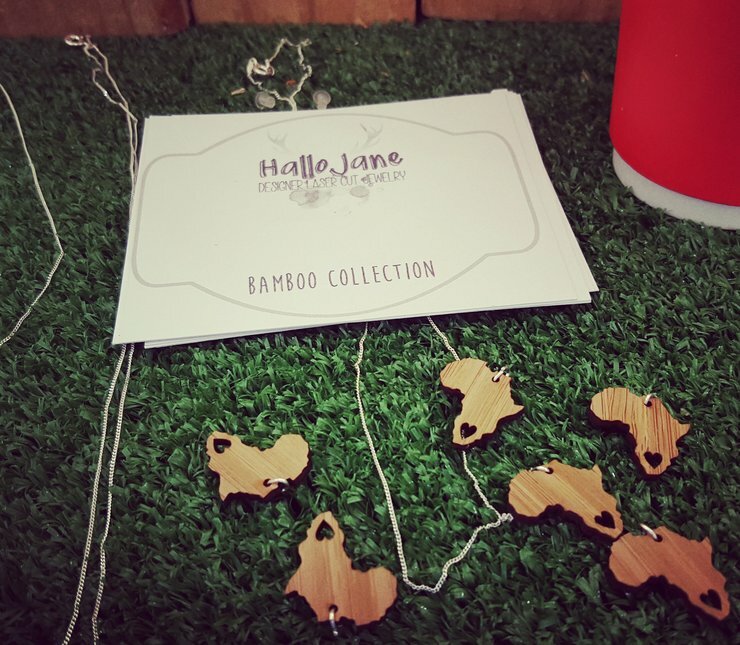 These eye catching bamboo pendants are laser cut on 2.2mm 3 ply natural bamboo. It hangs from a 45cm Sterling Silver chain and perfectly rounded off with a Sterling Silver heart, dangling from the pendant. 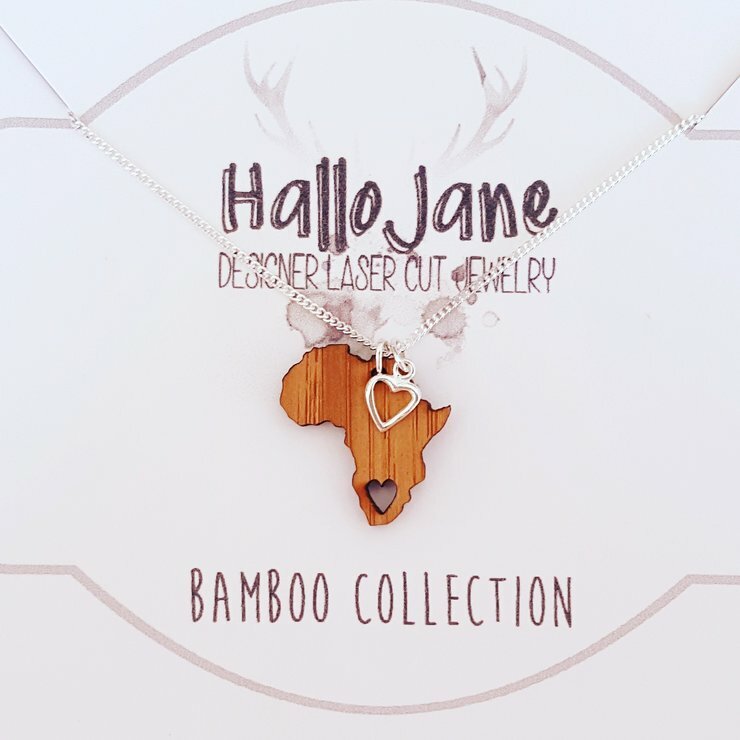 The pendant is about 2cm in size These make excellent gifts or to treat yourself by reminding you where your roots are ♡ Orders take 3-12 working days to process Shipping takes 2 to 5 days depending on the area Shipping is done door to door via courier. Yay! These are proudly South African Made in Pringle bay. **Please Note Regarding Urgent Orders** Please contact us prior to ordering if you are needing an urgent order, as this is depending on our work load (as a large percentage of our stock is handmade) we cannot guarantee that urgent lead times can be met as per your requirements. We will however always try and accommodate our customers as best we can.